We, recreational therapists are trained in facilitating groups. We gain practice and experience through our undergraduate education training and internship. 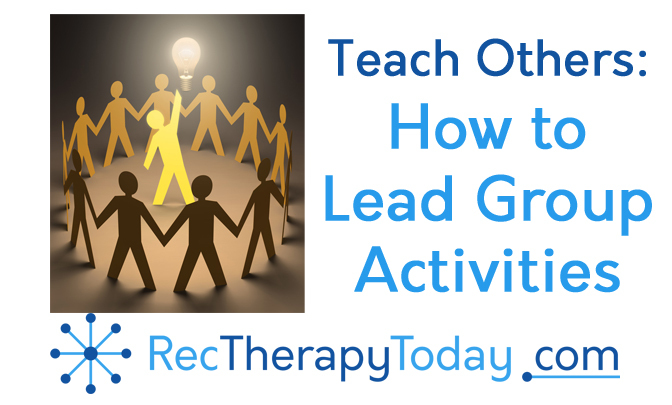 Some recreational therapists are asked by their managers, program directors, CEOs to train others on how to lead group activities. I often provide training on leading group activities for direct care staff, activity assistants, and mental health technicians. I thought it might be useful to provide information on this type of training for other recreational therapists who might be asked to do the same. A recreational therapist, like you, might want to consider starting a small business and providing a small workshop on leading group activities. Today, I had the experience of providing a small training for a mix of professionals. Most of the attendees were newly hired nurses. One was an intern in social work. The most experienced person in this session was a newly hired, Certified Therapeutic Recreation Specialist (CTRS), who I was very happy to meet. Please note that I’m teaching basic skills to lead a group during these training sessions. I’m not teaching others how to provide recreational therapy, which requires a great set of skills (and a license to practice in some states). 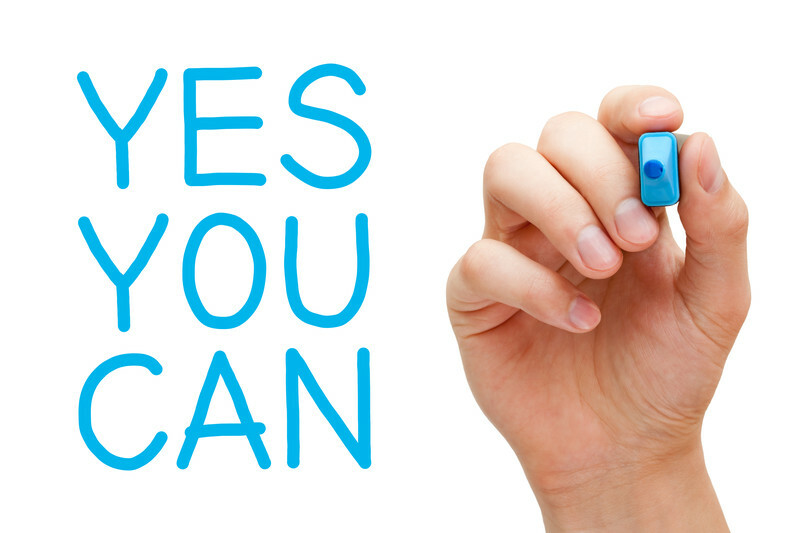 Improve your skills and Improve your confidence! The ability to lead a group will be a valuable skill for you to have. This skill may come in handy. Could you imagine having the skills needed to lead a group activity? How could that improve your overall set of professional skills? Think about the age group (children, teens, adults, seniors) and their needs. Get group supplies prepared in advance. Keep a few instant activities (in the back of your mind) that you can easily implement if needed in case of an emergency. There are times when you might be asked to lead a group because the assigned recreational therapist got stuck in traffic while on an outing, or the assigned social worker got stuck in court and is not able to make it, or the assigned nurse got called to a code. There are many times when a direct care staff (or any staff) may be called to help cover a group session. Teach something you already know. You have a lot of life experiences and personal hobbies that you can teach. Go for it. Be flexible. You can prepare a group session and it might not go as planned. Participants may act in disrespectful manners. It’s not okay, but understand that it happens. Participants might be bored or depressed. Based on experiences, I’ve worked hard to prepare something I thought would be really nice and amazing to only hear participants shared, “is this it? Or that was boring.” I’ll validate that comments like that could hurt your feelings. I encourage you to have a strong positive attitude. Shadow or observe other group leaders before starting your own group. Sit in on a recreational therapy group, nurse group, social worker group, therapist group, and direct care staff groups. Stay within your scope of practice. Don’t attempt to provide something you’re not trained or skilled in. Try to have an extra staff sit in on your group session if possible. Be prepared for an emergency. A participant might become agitated or aggressive. Be prepared to call for help if a person becomes aggressive to keep everyone safe. Practice leading group sessions. You’ll improve with practice. Direct care staff can easily implement a various activity based groups. 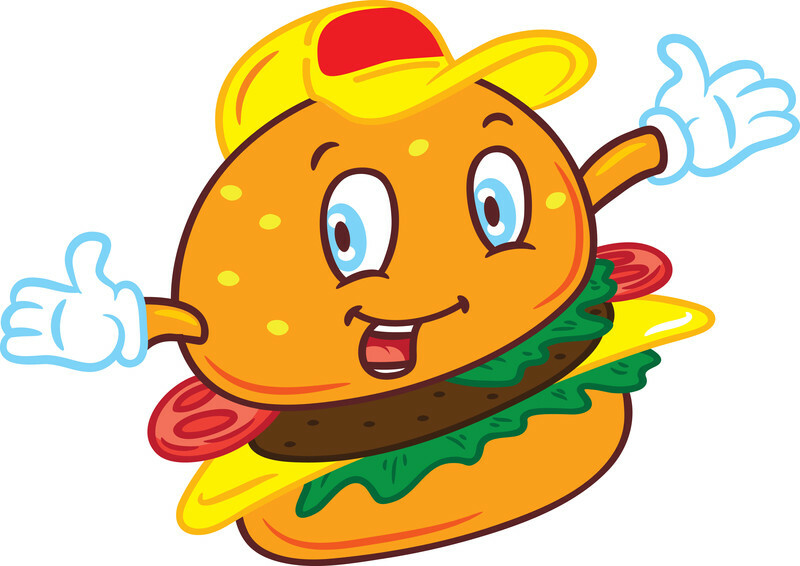 I describe groups like a burger. The meat: this consists of the majority of the group. The activity. This part will be the major part of the group. It could be a checkers tournament, a trivia game, a fitness activity. The bottom bun: this is the wrap-up. Ask participants what they learned or gained from this session. Fitness/ intellectual/ social: Provided group juggling exercise. These ideas are ones I would like to share with my students in TR. May I encourage them to contact you? your students are more than welcome to email me or contact me on fb. My students would benefit from this article. Is it contained in. your book? We are looking at trends in TR.